This week was all California. (Which, of course, was FANTASTIC. I'll hopefully be sharing more thoughts and photos soon.) 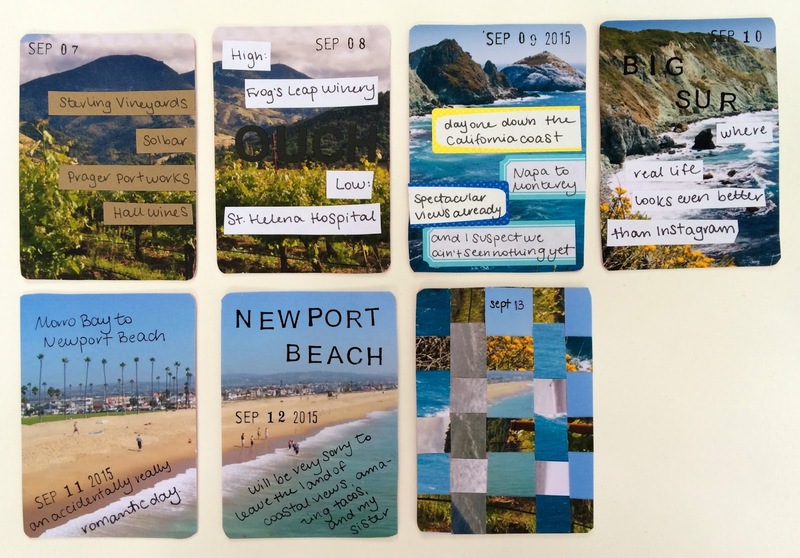 Before we left, I printed off four stock images of the four major places we'd be spending time - in San Francisco, Napa Valley, on Highway 1 down the coast, and in Newport Beach - and used them as the background to the cards. Since we were road-tripping and moving so much, I brought fewer supplies than I do when I'm headed to one place (like on a work trip) and can spread out all over one desk. There really isn't much artistry and not a ton of creativity in this set. But it was a nice way to get down a few themes, thoughts, or highlights from each day while keeping up with the daily rhythm. For Sunday, after we arrived back from LAX, I took the leftover scraps and wove them together. 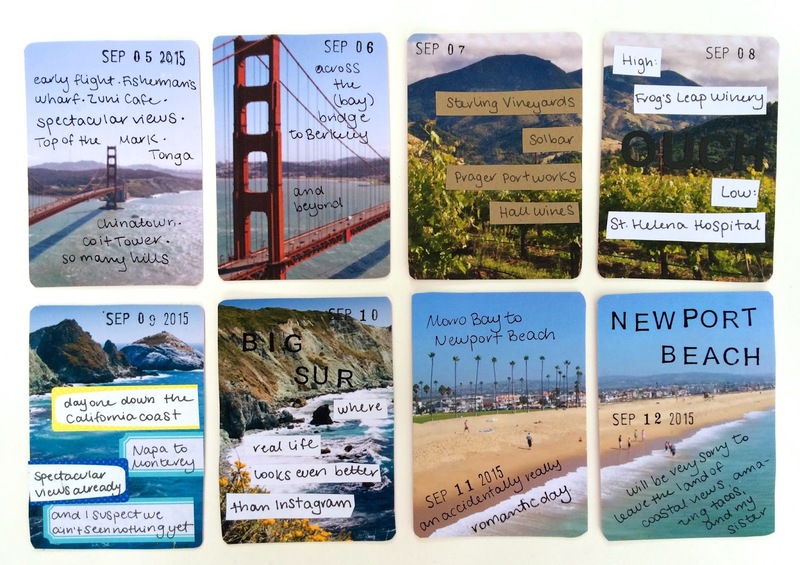 It sort of mirrors what it feels like getting back from vacation - a smattering of images and memories that blur together in one big scenic highlight reel. That's about it. This week made for a nice break in real life and a nice break heading into the last quarter of the daily card challenge. As much as I sometimes find myself looking forward to December 31 when I stamp the last date-stamp on the last card, it really is crazy how quickly this year is going by.